ROSNF members played a key role in providing social media training this past Rotary year. Here’s a quick recap of some of the highlights. A “basic” webinar covering getting started with Facebook and Twitter was held on October 12th and 19th with panelists Simone Carot Collins and Don Griffing. View recording. An “advanced” seminar which looked at other aspects of Facebook not covered in the basic webinar such as events, connecting to a twitter feed, embedding your Facebook page feed into a website, using groups, apps and iframes and using Facebook as your page, as well as using dashboards such as Hootsuite and Tweetdeck to manage and schedule your accounts. Simone Carot Collins was the sole panelist. View recording. Numerous ROSNF members conducted training in their own districts, assisted other districts, or banded together to provide multidistrict training. One example of this was the half day Rotary in Western Australia Facebook seminar, which attracted around 150 Rotarians and Rotaractors from the two districts in Western Australia, co-presented by ROSNF board members Simone Carot Collins and Kero O’Shea, repeated a month later outside the metropolitan area to reach an even greater audience. Read more about the Rotary in WA workshops or view the presentation and hand outs. Then DGE Melissa Ward gave a presentation on PR and social media at the 2012 International Assembly in San Diego, USA. This video has been edited for time. ROSNF Members were very visible at the 2012 Rotary International Convention in Bangkok. At the International Institute immediately preceding the Convention, Simone Carot Collins gave a keynote address on social media. This was followed by a panel session. During the Convention itself, Simone Carot Collins and Melissa Ward were panelists for the “Using Social Media to Strengthen Your Club” and “Using Social Media to Focus and Increase Humanitarian Service” break out sessions, and Brian Hall was a panelist for the “Best Practice for Club Websites” break outs, all co-ordinated by RI. Two non-RI social media workshops were organised separately by Melissa Ward (The Shift to Social Media) and Guz Goh. Hi Don Higgins here, 2011/12 Chair of ROSNF. Thanks to Paul Wilson for volunteering to join the ROSNF board and serve as ROSNF Newsletter Editor. I’m looking forward to quarterly newsletters that will help keep members informed and that will also serve as an introduction to ROSNF for those Rotarians and Rotaractors who have not yet joined. The ROSNF membership now stands at 1300 and continues to grow daily. Rotarians and Rotaractors can register as members at no charge on www.rosnf.net. 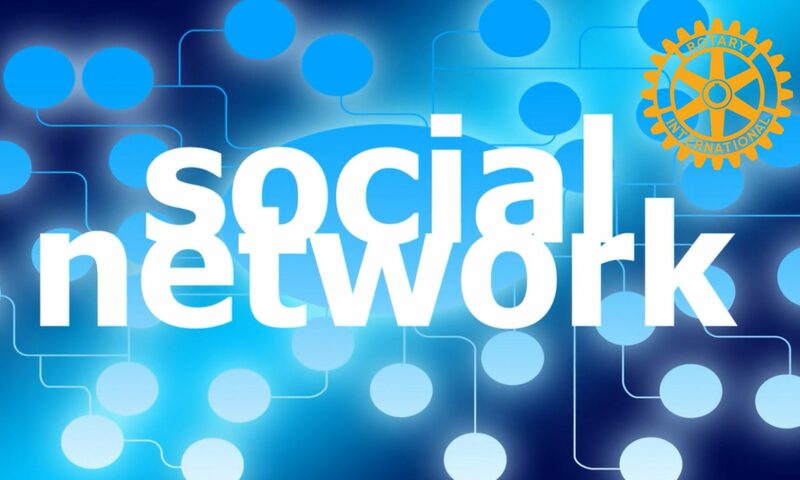 Once you are a member, you can then join one or more of the ROSNF Groups on Facebook, LinkedIn, or Twitter. The group on Facebook has daily wall posts about the use of social media to support Rotary club projects and fellowship. If you have suggestions on how to improve ROSNF or would like to volunteer on one of the ROSNF standing committees, please contact the chair or any board member. Several ROSNF board members attended the recent RI Convention in Bangkok, including Guz Goh, Genevieve Flight, and Simone Carot Collins. The ROSNF Booth #825 in the House of Friendship was extremely popular, giving the opportunity to meet other members face to face and to purchase a ROSNF “Like” button to wear during the conference. There were 4 social media workshops run by RI and ROSNF had panel members on 3 of them, plus ROSNF panelists participated in 2 other social media workshops put together by those members. Simone Carot Collins gave a keynote presentation on Social Media at the International Institute immediately preceding the Convention. Facebook seems always to be in the news these days, for reasons both positive and negative. So you might be wondering: Should Rotary clubs be on Facebook? Definitely, says Mel Powell, treasurer of the Rotarians on Social Networks Fellowship, who is working to organize an e-club based in the Greater San Fernando Valley, California, USA. Here, he explains how Facebook can help clubs connect to the community, and offers advice on getting your club started.